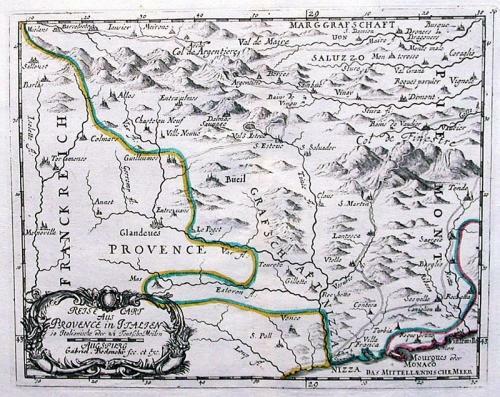 A 300 year old tourist map and guide of the Provence/Piedmont district to the north of Monaco and Nice. The map shows a number of roads through the Alps. One passes over Mt. Argentera standing at 3,297 mt., whilst another road passes over Col de Finestre where a glacier has been beautifully engraved. Scarce. Fold(s) as given.